This front grille is made of stainless steel in both - the silver and black versions. 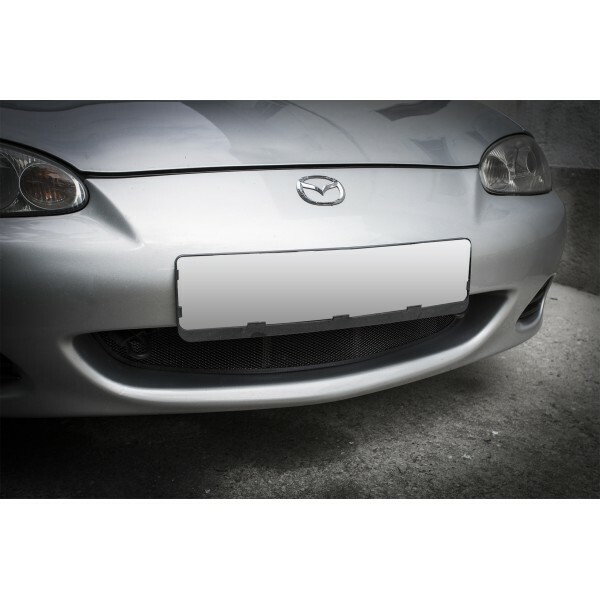 This version is exact fit on NBFL, follows the shape of the bumper and installs with two additional brackets. 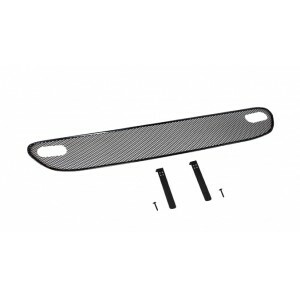 It fits the OEM NBFL bumper and of course it will not fit aftermarket bumpers or NBFL with additional styling packages.